Depression has become a serious epidemic in the senior community. Every day, more and more seniors are dealing with the effects of depression and unfortunately they are not getting the help that they need. Although depression is extremely common in this age group, many seniors are hesitant to get treatment. Some seniors simply don’t understand their treatment options, others don’t want to look weak, while even more are worried about burdening their families. While seasonal depression is a very common issue among seniors, and it typically occurs in the winter, it doesn’t mean that depression isn’t also a problem in the summer months as well. There are a number of signs and signals that may let you or a loved one know that a senior in your life is battling depression. It can be easy to spot the signs, but it can be even more difficult to convince a senior to get the help that they need. 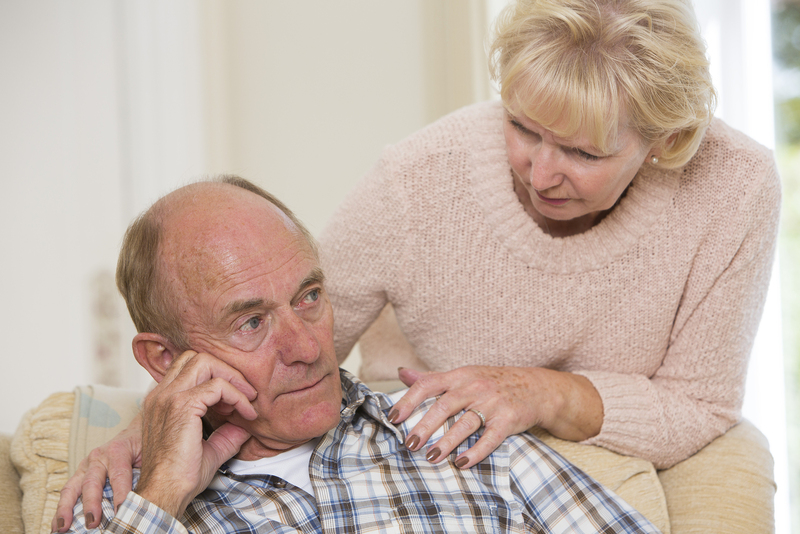 Here are five ways you can help a senior in your life that may be dealing with depression. Take All Symptoms Seriously- One of the best things that family members and loved ones can do for someone battling depression is to take their issues seriously. Be on the look out for symptoms and side effects and don’t take them lightly. If a senior is no longer eating or no longer doing the activities they love, this could be a call for concern. Let Them Know It’s OK- There is a lot of stigma that comes with depression. Many seniors don’t want to admit that they are dealing with depression and are afraid to talk about their feelings. One of the best things that a caregiver or loved one can do is to encourage someone battling with depression to talk about their feelings while you let them know it is alright to feel that way and that you are there to support them. Help Them Find Assistance- As a caregiver or loved one it is your job to do what you can for this special senior in your life. Help them find the assistance they need to overcome this depression. A little assistance can go a long way in helping many seniors make the decision to get the help they need. Don’t Put Labels On Them- It can be difficult to talk to a senior who is denying that they are sad or depressed. With this in mind, it is important to not put labels on seniors. Instead of telling them they are “depressed” talk to them about why you want them to feel better. Putting labels on their condition can only frustrate some seniors. Remember That Depression is an Illness- There are so many people who think that their senior loved one is choosing to be sad or act depressed. This can be frustrating, especially for family member and loved ones who are doing everything they can to help that senior. However, it is important to remember that depression is an illness, and a disability, it is not a choice. The faster a family member or loved one can take action and start helping their senior loved one, the better off all parties will be. Many seniors are able to get the help that they need and start living the happy and healthy lives they have always wanted to live.